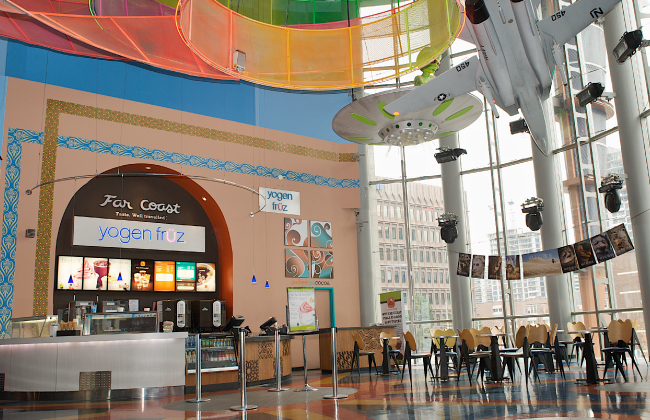 Growing demand for Yogen Früz is creating new opportunities to deliver our quality and nutritious desserts outside of our traditional locations. Whether at a University, Airport, Hospital, Cinema, Stadium or travel plaza, consumers today are looking for healthy and delicious alternatives. Yogen Früz provides wholesome nutrition in low fat and non-fat options with protein. Lüv Life. For co-branding opportunities, email us at cobranding@yogenfruz.com, or fill out the following form and submit. All fields marked * are required.